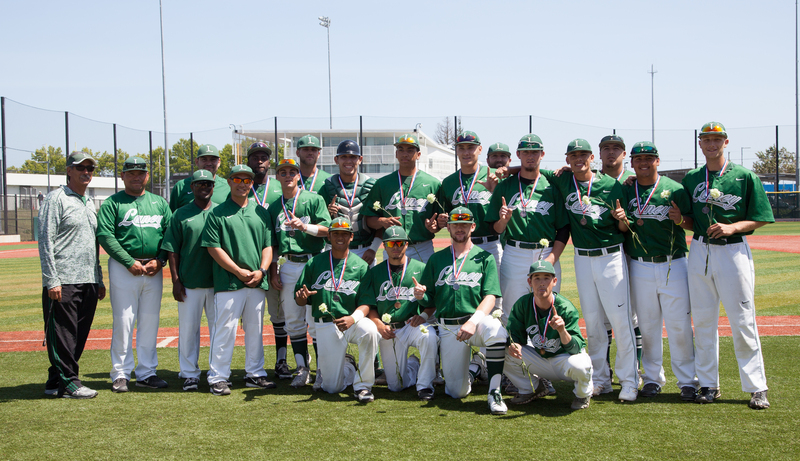 The Laney College baseball team, champions of the Bay Valley Conference, will play host to Chabot College in a best-two-of-three series Friday and Saturday, May 6-7, in the first round of the Northern California Regional. Friday’s game will start at 2 p.m., with Peralta Colleges Chancellor Jowel C. Laguerre. Ph.D., throwing the first pitch. The Saturday game will begin at 11 a.m. There is the possibility of a third game that will be played later on Saturday afternoon. Ticket prices will be $8 for students (with ID), children (under 12), staff and seniors. General admission will be $12. The Eagles had a 26-10 record overall and were 20-4 in the BVC. 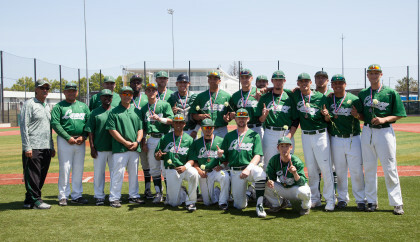 They won the title outright with a 4-2 victory at Los Medanos College in Pittsburg on April 28. They have on nine of their last 10 games. Laney last won the BVC in 2012; the Eagles’ last appearance in the Regional was in 2013. Chabot (23-13) finished second in the Coast Pacific Conference with a 13-7 record. The Gladiators have won eight out of their last 10 games. Laney is seeded seventh in the NorCal Regional; Chabot is No. 10.